Looking for the best outdoor play set for 2 year olds? A play set can be a great way to keep your toddler entertained and having fun outdoors but you definitely should do some research before just buying any old set. When it comes to the best play sets for a 2 year old you really have two basic options. You can go with a toddler play set that is specifically geared towards children ages 2-5 years old or you can go with a more traditional kid’s play set that may be a little large for them now but they can grow into it and use it for the next 9-10 years. Your choice depends on what you feel comfortable with as well as the size of your backyard and your budget. 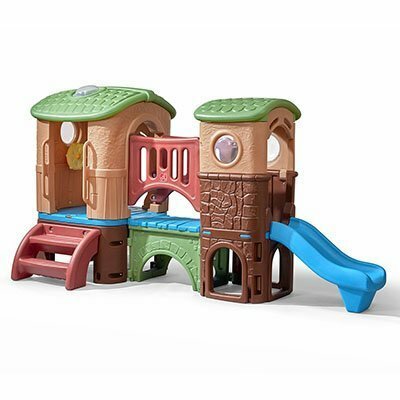 This is one of the best selling toddler play sets as it offers so much to do for kids and is great for multiple children. This is a pretty large play set for toddlers ages 2 and up. It has a max weight of 240 pounds so several children can play all at once. Step2 is known for their quality outdoor play sets and toys and this is definitely a durable, sturdy set that will last quite a few years. 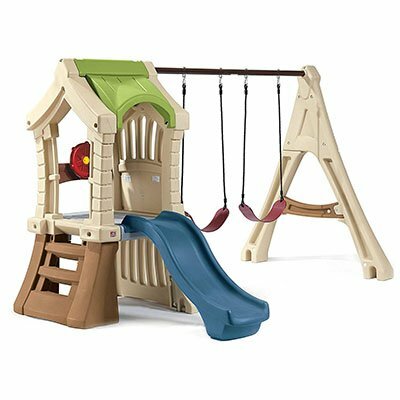 If you are looking for a toddler swing set with a playhouse area, then this set may be a better option for you. Also, this play set is slightly smaller than the other set above and may be a better option for smaller yards. 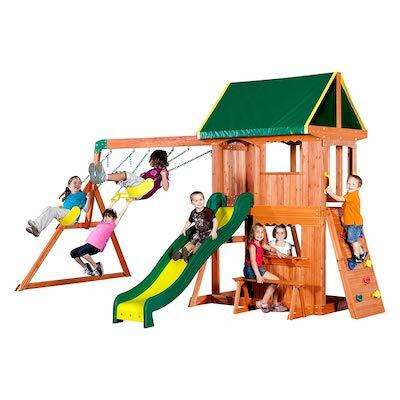 This play set is definitely recommended for younger ages as it’s not that large inside of the clubhouse area and with too much weight on the swings the supports will start buckling. It is only recommended for ages 2-5 years old, but many buyers have noted that their 1.5 year olds have had no problem playing and swinging with parental assistance. If you have a two year old, another option for your backyard can be a larger play set that is designed for children up to around 11 years old. Most of the recommended ages on these types of backyard play sets tend to be 3 years old, so your child may be close enough in age that they can use the equipment with proper adult supervision and have no problem. If you have ever taken your toddler to your local neighborhood park they most likely have played on the same type of equipment that would be on your backyard play set. Some parents don’t feel comfortable with their tot on these larger playgrounds, but most find that younger kids do well with them. Here are some of the best outdoor play sets for kids that will grow with your child. 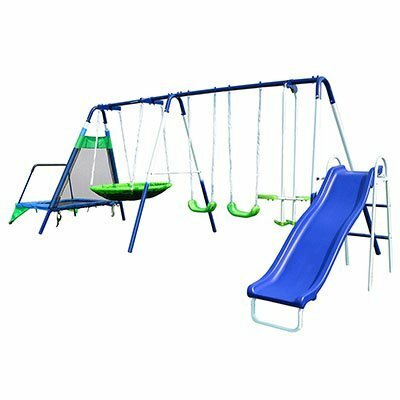 These aren’t the largest playground sets you can buy but instead are a great size for younger kids but can still be used by the older kids as well. This is one of the best selling smaller wooden play sets that is perfect for toddlers as well as children up to ten years old. This is a great option because the the platform clubhouse area is slightly lower than other sets and parents like it because it won’t take up their whole yard. That doesn’t mean there isn’t tons of stuff to do and play with on this play set. This set is made from all cedar wood and is super sturdy and stable. The cedar wood actually makes it naturally resistant to mold and mildew damage. Another thing to keep in mind is that you can change out one of the belt swings to a toddler bucket seat that you can buy separately. This may be a good option for a younger 2 year old or if you have a toddler and a baby at home. This is a great option for an inexpensive outdoor play set for a two year old. This is not only a metal swing set but it also comes with a mini trampoline as well. Kids really go crazy over the flying saucer swing as they can lie down as you push them through the air. It’s also nice because you get the attached mini trampoline rather than just a simple swing set. 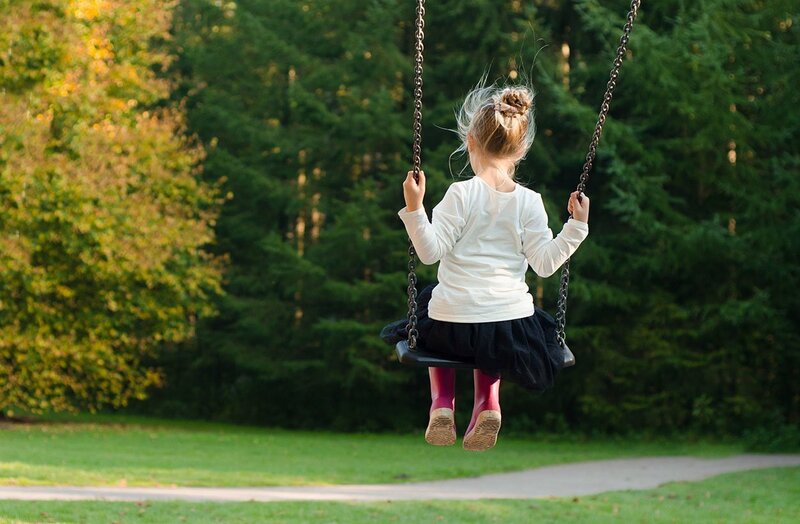 You’ll find that this metal swing set cost less than some of the outdoor toddler play sets above and it can be used until your child reaches 100 pounds. Keep in mind that you will need to buy a ground anchor kit for metal swing sets to go along with this but those aren’t that expensive as well. When it comes to the best outdoor play set for 2 year olds, it really does depend on what type of backyard playground you are looking for. The toddler play sets are great for individual play were you may not need to help them up and down through all the activities. 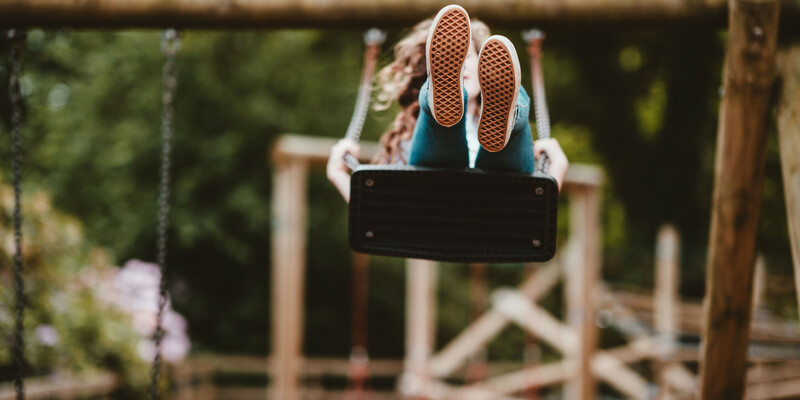 On the other hand, some parents prefer spending the money on the larger outdoor play sets so that their toddler can continue to use the playground for at least 6-7 more years rather than just maybe 1-2 more years. The best play set for your toddler may just depend on the size of your backyard as well as how well you know your tot. Hi! My name is Cassandra Parker and, as you can see, I’m the mother of a beautiful baby girl. I’m also a full-time nurse from Seattle, Washington. Best Electric Scooters for Kids with Seat: Is it Razor E300s?